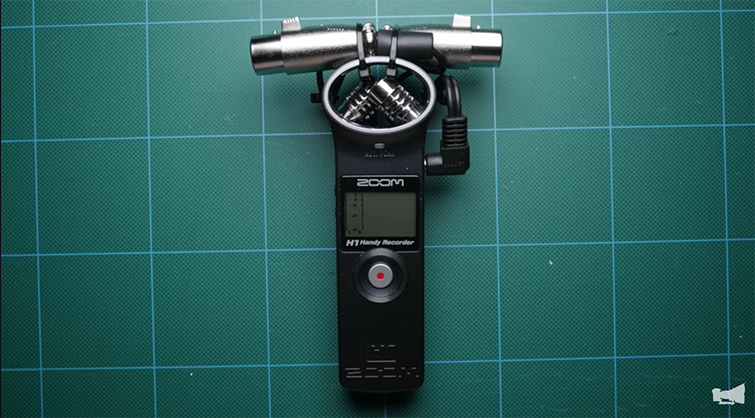 Gear hack: Upgrade your Zoom H1 audio recorder to include two XLR inputs and two outputs — all for under $15! Here’s how it’s done. 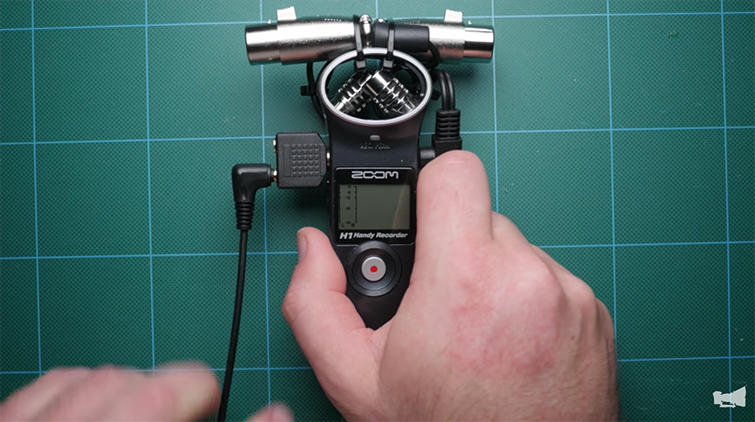 In their latest video, DSLR Video Shooter shares how to trick out your Zoom H1 into an XLR-friendly dual-channel audio recorder for $15. This is a huge DIY help for those who already own an H1 ($99.00). 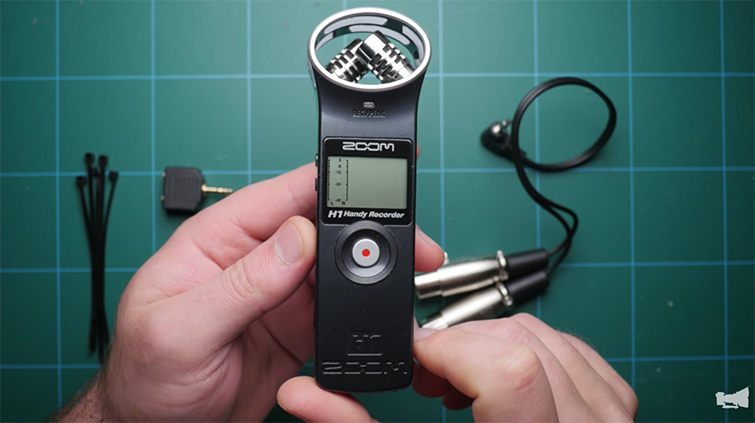 It’s also perfect for people looking for audio recording options who aren’t willing to invest in a Zoom H4 ($149.99) or a Tascam DR-40 ($179.00). 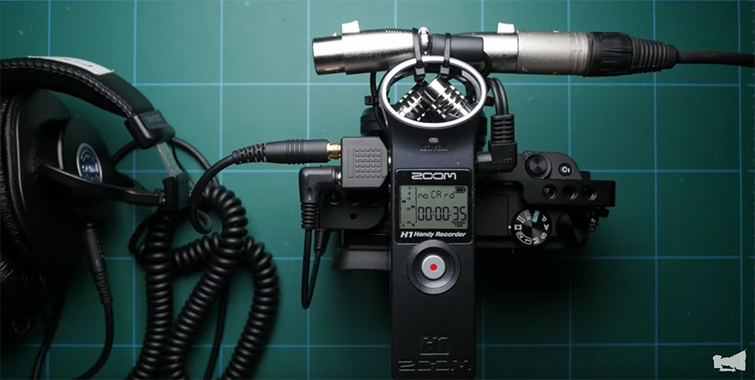 One of the biggest drawbacks of the Zoom H1 is that it doesn’t have XLR input natively. 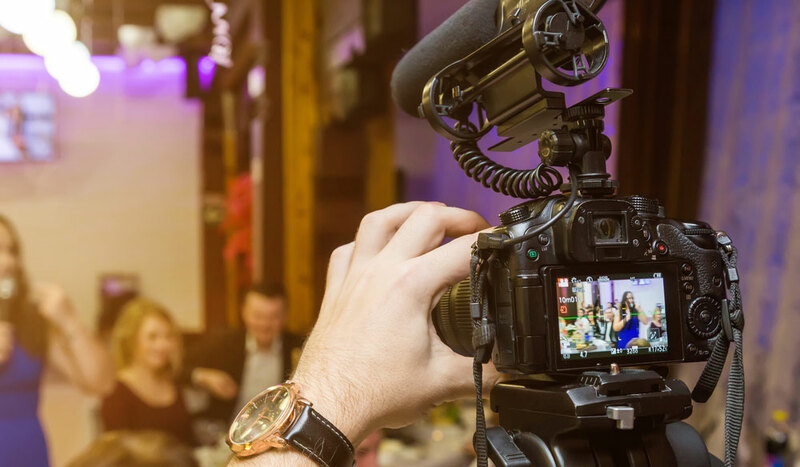 This means that if you’re using it, you can only use low-end mics and recording devices to feed directly into the recorder. By adding dual XLRs to the input, you essentially turn the H1 into an H4 in terms of stereo XLR-quality audio. Here’s how the two XLRs work. Another drawback to the H1, if you are using it to feed into another camera or mixer, is that it only has one output jack. 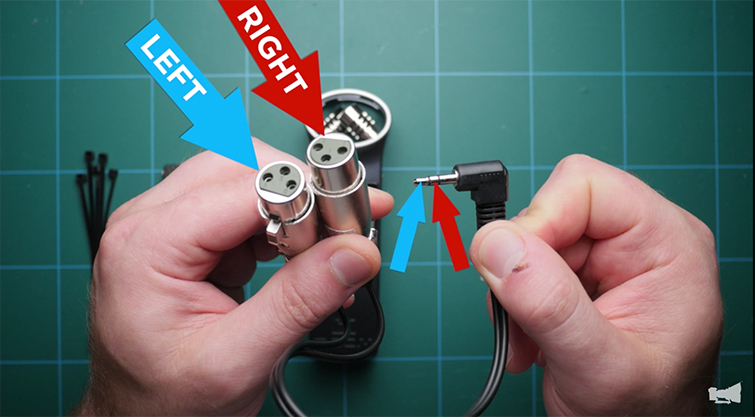 For this hack to work, you’ll need to add a splitter to allow for headphone monitoring and sending into your camera. 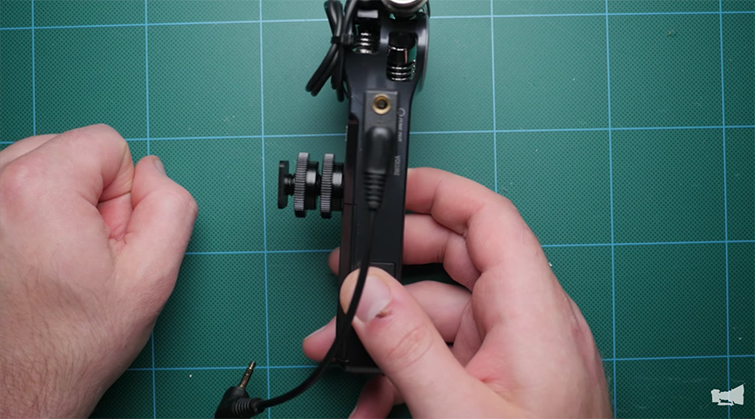 All you really need to do is add the splitter to the output jack and plug in a short 3.5mm to 3.5mm cables to go into your camera. The final step is to add the cold shoe adapter to the back of the H1 to attach to your camera. 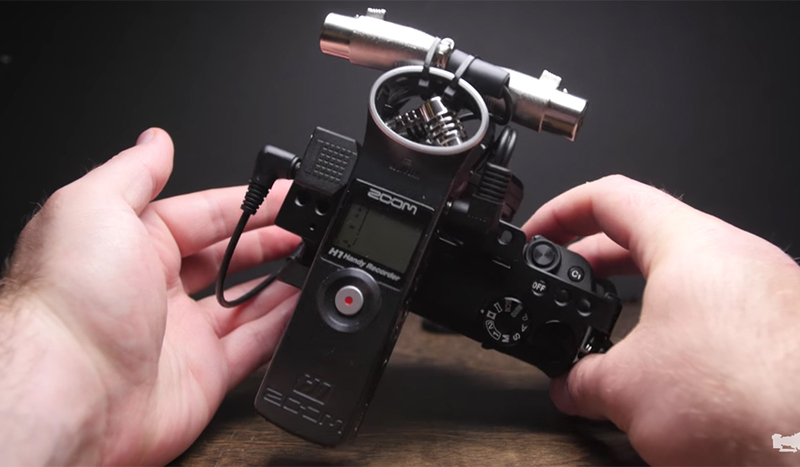 The adapter operates on a simple thread system where you “screw” and “unscrew” the circles until you can slide the adapter onto your camera’s built-in mount. 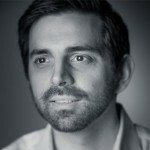 Once you have the adapter on and attached and your 3.5mm cable plugged into the camera, your work should be complete. You can now plug two XLRs into your H1, monitor the audio, and send it directly to your camera or mixer of choice! 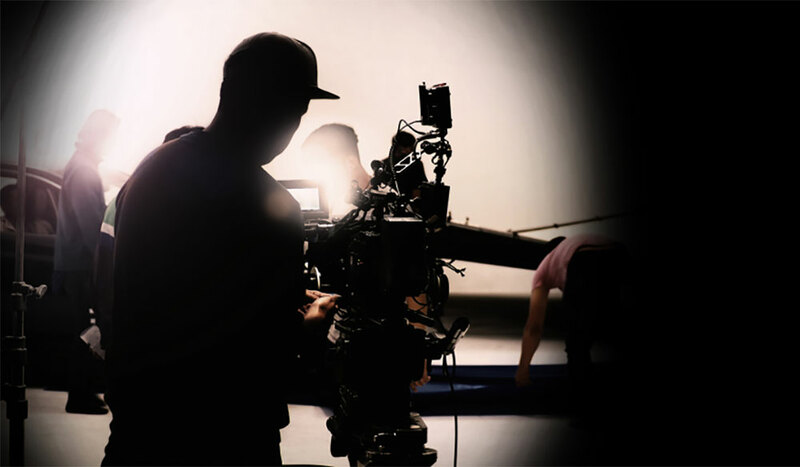 You can watch the full video below, and be sure to check out the rest of DSLR Video Shooter’s library for other cool tips and tricks for DIY filmmaking. 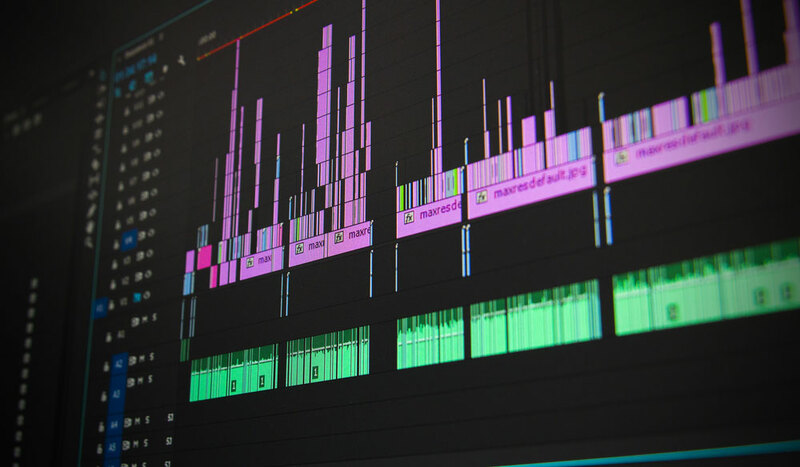 Know any other cheap DIY audio recording hacks? Let us know in the comments!